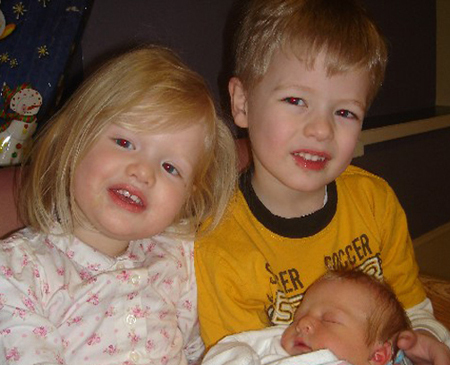 Check out Kate with her big brother and sister! This entry was posted on Wednesday, March 7th, 2007 at 8:57 am and is filed under Family. You can follow any responses to this entry through the RSS 2.0 feed. You can skip to the end and leave a response. Pinging is currently not allowed. what is going on with you guys? I haven’t seen an update about you in a while.